If you’re looking to add a few iconic world sites to your bucket list, continue reading to discover a few must-visit world sights to inspire your future international trips. Christ the Redeemer is a mammoth art deco style statue which stands over Rio de Janeiro in Brazil and is arguably the most iconic sight in Brazil. This highly recognizable statue is well worth visiting as it has been officially listed as one of the new 7 wonders of the world. If you’re curious about visiting one of the largest man-made structures in the world, it’s well worth traveling to The Great Wall of China. Which is 5,500 miles long and which runs along what used to be the northern border of China. The Great Wall was originally built to protect China’s borders from threats of invasion from neighboring nomadic groups. 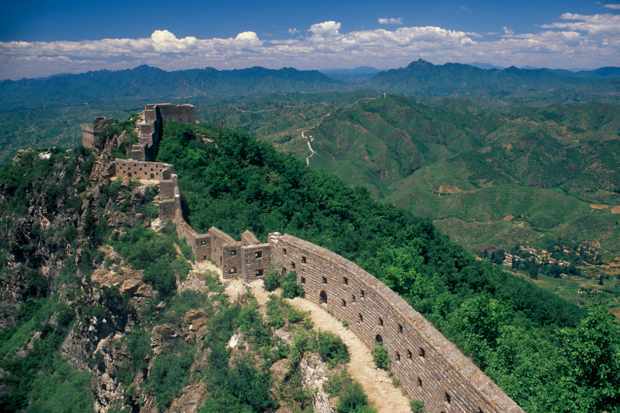 Some of the first parts of The Great Wall to be built were constructed around the 7th century. However, most of the The Great Wall which remains intact and which you can visit today was built during the Ming Dynasty, which took place between 1368-1644. The Great Sphinx of Giza is one of the most visited sites in Egypt and is a massive limestone statue in the shape of a lion which has a human head. The Great Sphinx of Giza is thought to have been built between 2575-2465 BC and may have been built during the reign of King Khafre. Many believe that the Great Sphinx’s face was modeled from King Khafre’s face. Uluru which is also known as Ayers Rock is a giant red sandstone monolith which is 863 meters tall and is truly a sight to behold. In fact, when Prince William and the Duchess of Cambridge visited Australia on their royal tour, the royal couple made a special trip to visit Uluru, which is located 450 km from the nearest town, Alice Springs. The Great Barrier Reef is also located in Australia and is the largest protected reef in the world. If you enjoy scuba diving or snorkeling, it’s well worth visiting the Great Barrier Reef at least once in your lifetime as it boasts endless schools of brightly colored tropical fish as well as dolphins, stingrays, and sea turtle. The Western Wall, which is also referred to as the Wailing Wall is the most visited site in Israel and is an ancient wall which was originally built as part of the extension of the Second Jewish Temple which was commissioned by King Herod the Great. Whom lived and died before the birth of Jesus Christ. So if you’re interested in ancient history, it’s well worth making sure to visit The Western Wall for yourself. As life is far too short, not to travel and tick the world’s greatest sites off your bucket list, it’s well worth selecting your first world sight to travel to.